Blogs and WordPress is a great match, isn’t it? To be honest, there would rarely have any platform other than WordPress been used for blog making. So, what is the “element” that attracts bloggers towards WordPress? Bloggers are the individuals who are strategically sound and know what would be the first thing to drive audiences towards their blogs. Undoubtedly, they find UX as the first resource entice people to visit their blogs and spend some time reading content pieces. 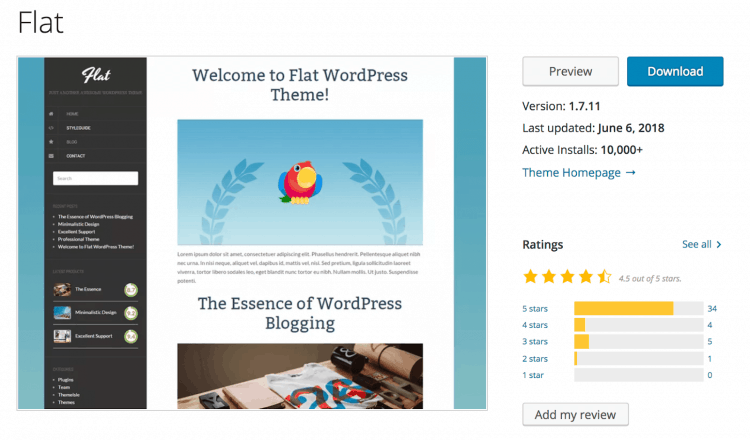 This article discovers 11 topnotch free WordPress themes for bloggers in 2019. 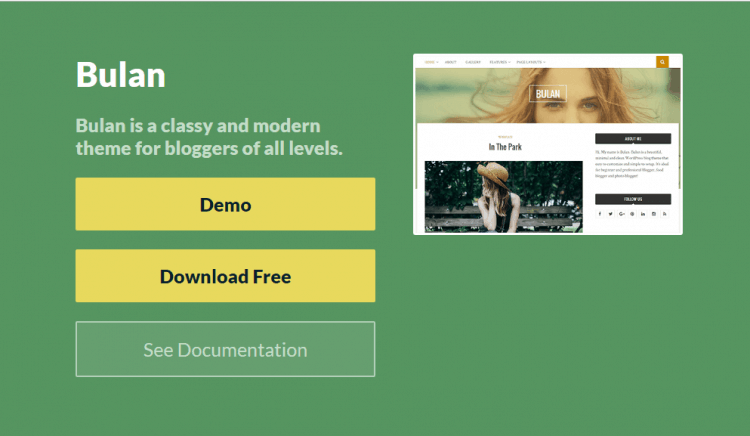 Bulan is the WordPress theme useful for beginner as well as an experienced blogger. 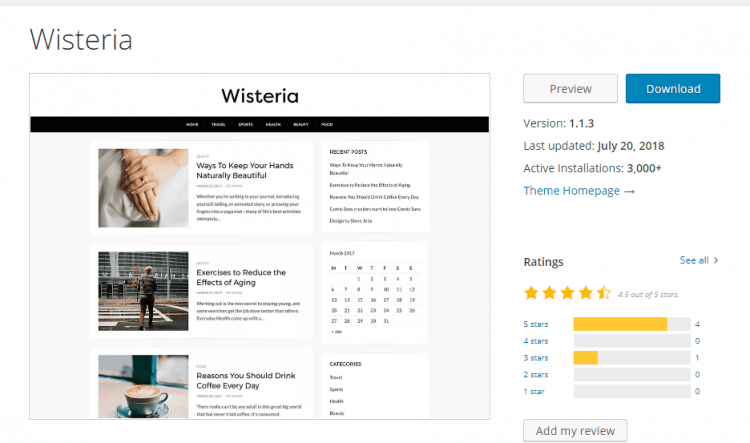 The looks of the theme support the needs of modern-day bloggers. The theme proffers flexible designs, customization options and much more that are more than overwhelming god’s gift. As the name suggests the theme uses “flat”, 2D and design principles make your look truly professional even after using a combination of bright colors. With customizable sidebar navigation, you can design a functional menu. 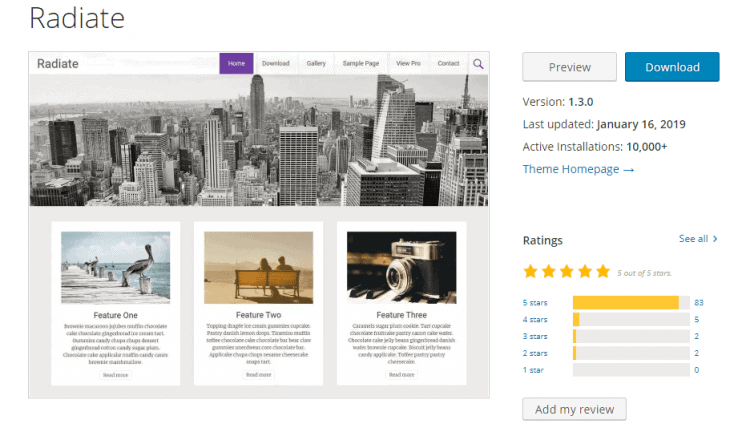 A user-friendly “Theme Options Panel” allow you to update blog’s settings; add images, logos along with social links and much more. 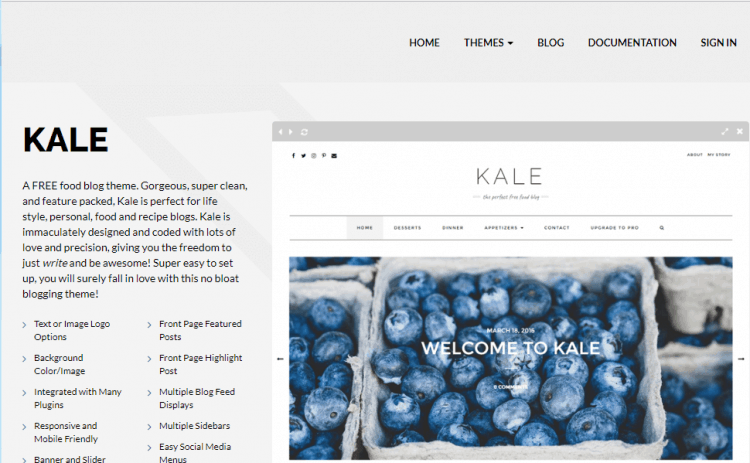 It’s a sparkling, attractive and responsive two-column theme for bloggers. Hemingway has been developed by Anders Noren and offers features like retina-ready assets, full-width header image along with parallax scrolling effect, custom logo upload and much more. Auto-translation feature to several languages. Juno is a multi-purpose theme with a professional look. The theme can be used for creating blogs, marketing agency, business site, photography and more. Smartcat created the Juno theme to offer a resource for modern-day business goals. Kale is dedicated to food bloggers. A specific food blog theme that is completely free to download and use. It’s not just the beautiful; it’s gorgeous and super clean that entice users to visit and scroll the site again and again. It’s super easy to set up and customize the entire website. In-build social media food buttons. 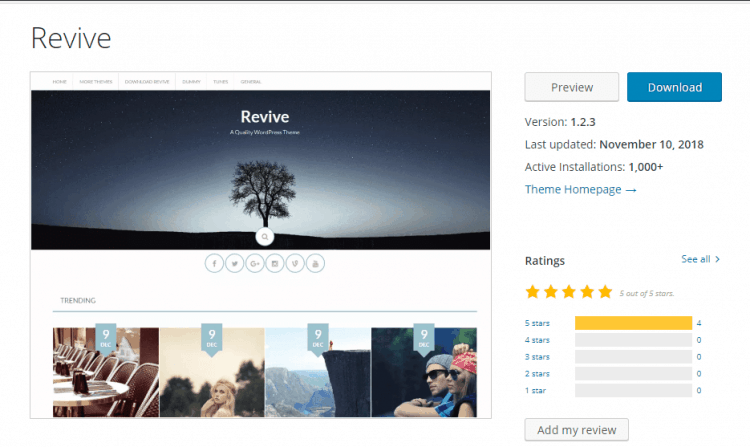 Radiate, a theme created by ThemeGrill is a clean, flawless, light retina ready blog theme. It also supports parallax header image. 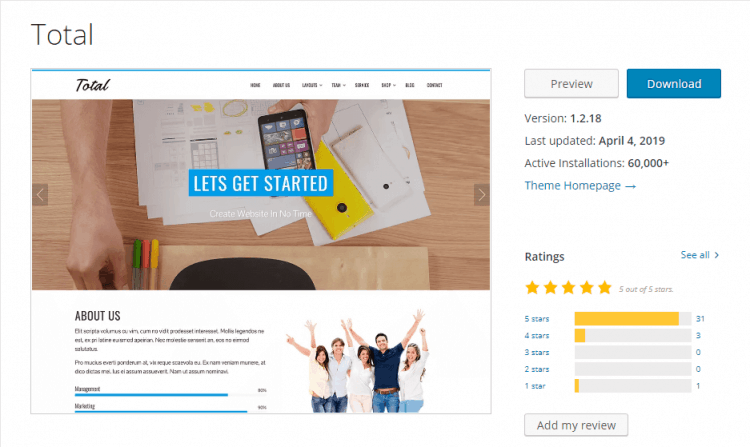 The theme has a primary color option, custom CSS, custom background and many more features. Revive can be used for multi purposes with a Magazine Layout. You’ll find Font Awesome Icons, Sidebar Customizations, and other useful features. Configured on Bootstrap 3.0 framework, the theme is incredibly responsive for mobile and tablet devices. Another magnificent creation of ThemeGrill, and as the name suggests, it’s really a spacious, and multi-purpose responsive theme. Total is a Hash Themes product, and have an elegant design and vibrant color, and so on. The theme is made in the context of SEO guidelines. It is compatible with WooCommerce and that means you can create a wonderful E-commerce website with this. Wisteria works two ways i.e. for creating a blog site as well as a magazine site. This easy-to-use and sophisticated theme can be used by freelancers, photographers, writers, authors, creatives, and bloggers. It is built on HTML 5 and CSS 3 code. 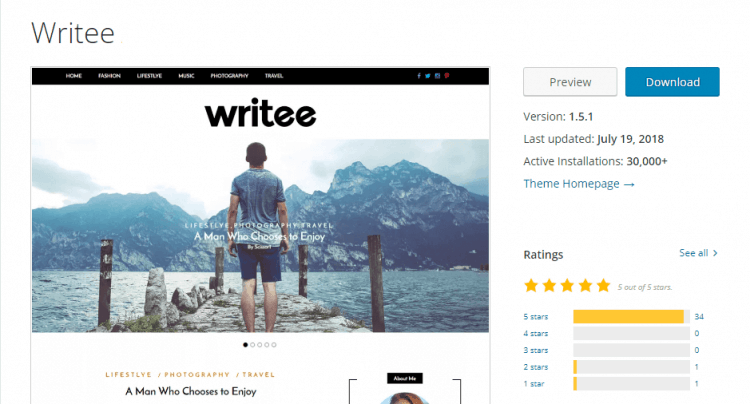 Those who want to create food, travel, fashion, personal, and corporate blogs, Writee could be the best choice for them. With .mo file, the free theme supports languages like Arabic, German, Spanish, French, Russian, Chinese and others. If you are looking for suitable, free, easy to use and attractive WordPress blog themes for developing websites, then here is your treasure. 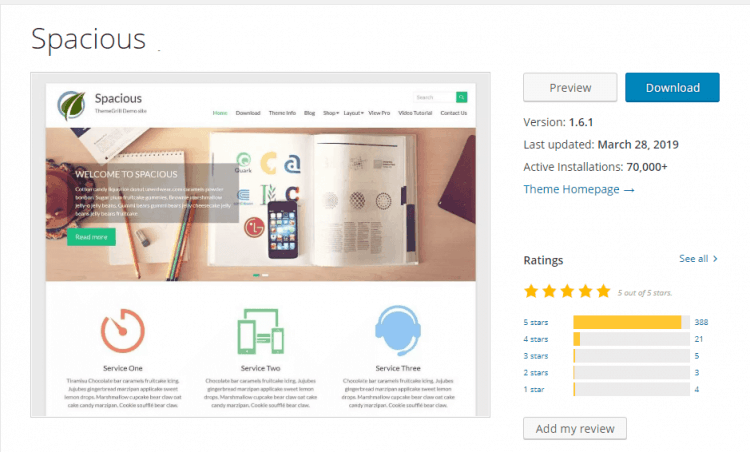 This article brings top 11 WordPress themes, most of them are multi-purpose, for you.